Some businesses are able to ride a trend, cashing in as long as the wave lasts. As scented candles and scented bath products were becoming all the rage, so was the news that candles weren’t such a good idea. Candles are HOT right now. Scentsy’s wickless scents and warmers may only be warm, but they’re gaining some serious heat. Keep reading to see if this opportunity is right for you. 1. 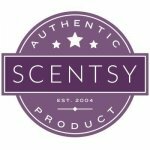 What does Scentsy sell? Scentsy sells wickless candles and scented fragrance wax for electric candle warmers, diffusers and scented natural oils, laundry liquid and household cleaners, and body care. 2. What are Scentsy’s most popular products? Scentsy’s most popular products are their flagship electric candle warmers. They come in a wide range of styles, from casual to elegant, to fit every decor and appeal to every personality. 3. How much does it cost to join Scentsy? For $99, you’ll get everything you need to get started as a Scentsy consultant: a warmer, 80+ scent testers, 3 months of your personal website free ($10/month after that), product samples, business tools, and a gift for joining. 4. Is Scentsy a scam? No, Scentsy is a legitimate business. In 2018, it was #35 on Forbes‘ Midsize Employers list and #9 in Direct Selling News’ Best Places to Work in Direct Selling. It’s also #44 on the 2018 DSN Global 100, a list of the top revenue-generating direct selling companies in the world, and the 2018 DSA Top 20, a list of member companies with the top net sales in the US. People love home scents and are willing to spend ridiculous amounts of money on them and Scentsy, in particular, has grown a lot in the last few years. So should you join up with them? Either way, here’s the full review on Scentsy. Scented candles have been around forever, so what’s the big deal? It’s hard to corner the candle market as an MLM because you can buy candles at just about any store in the world. So Scentsy came up with something new: flameless home scents that aren’t a fire hazard and don’t fill your home with carbon dioxide. Customers can enjoy the same air-freshening scents — but instead of a candle, they use scented wax and electric warmers. Scentsy leveraged the dangers of candles, convincing people their beloved candles aren’t safe (they release carcinogens, they’re a fire hazard, etc). Then, when the customer was adequately freaked out, they presented a product that’s safer and smells even better than burning that pumpkin spice mason jar candle. This approach has definitely brought them hype, but is it bringing them enough money? These kinds of extreme failure-turned-success stories are rampant in MLM. They come off as very genuine and honest, but there’s definitely a hidden motive, which is why I’m not a big fan of them. These MLMs are trying to appeal to people who feel like they’ve hit rock bottom or don’t have many financial options and are willing to take an entrepreneurial risk. The truth about MLM, though, is that it’s very, very risky, and most of these people will never see a decent paycheck. Really makes me question the staying power of Scentsy. Scentsy sells wickless candles — scented wax with warmers that diffuse the scent without you having to light a candle. They also sell room sprays, clothing conditioners, counter cleaners, and even hand creams. Basically, every kind of scented product you can imagine other than candles, all based on their signature scents. Their scents include everything from floral to woody to fruity to seasonal scents, and they do smell pretty delicious. There’s a huge variety. They’ve also got over a hundred different warmers to choose from, and the designs are lovely. They’re all around $30-60, with some smaller plug-ins as low as $20. Essential aroma diffusers are another option, although they’re a little spendier. Those are anywhere from $50-130. Overall, their products are great, and they’re pretty decently priced as well. The startup kit for Scentsy isn’t cheap at $99, but that is starting to become standard in these kinds of MLMs. After three months, you have to start paying for your distributor website too, which is $10 per month. While it’s not the sexiest compensation plans in MLM, it’s clear that the company is very product-driven. You’re not being forced to make all your money off recruiting, which means there’s probably no threat of them coming under legal fire or getting shut down by the SEC. Now you’re ready to go invite all your friends to a candle sniffing party! While that doesn’t sound like great fun, the owner claims that the joy he witnessed in his wife and her friends when they were sitting around a table at home smelling candles and chatting about scent memory was what inspired him to start Scentsy in the first place. Still, you know how I feel about in-home parties. They’re just not effective, and they alienate your friends. What’s more, independent distributors rely almost completely on Facebook to sell their product, as you’ve probably noticed if you have any Scentsy reps on your friends list (chances are, you deleted them a while ago). The product is super popular. Who doesn’t love candles? And apparently, people love flameless scented candles even more than your run-of-the-mill Yankee Candle. Scentsy is definitely cashing in on the hype. That being said, the compensation plan is underwhelming. And it’s troubling that they’ve had to close both of their subsidiary companies recently. But the real kicker here is the in-home parties. It’s just not a sustainable model for hitting it big. You can’t get rich off of begging your Facebook friends to come over to your house and buy your candles.